Today’s customers expect to have their questions answered promptly. The availability of information on the Internet has shifted brand control away from businesses and to consumers who can search for any answers they desire within seconds. This shift has created a need for businesses to make themselves available for customer inquiries at any time, day or night, from their office or while working remotely. To better help businesses be available for their customers 24/7, an entire ecosystem of applications has been developed to help sales teams and customer service representatives talk with customers in real-time. In order to orchestrate a number of business applications and cloud-based programs without bogging down their network with latency issues, companies have had to equip themselves with new networks that support their high-bandwidth needs. One way businesses are managing bandwidth and mitigating costs for high-speed Internet is through software-defined wide area networks (SD-WANs). Traditional MPLS links from your branch to a data center are reliable and secure, yes, but they offer lower performance for users accessing cloud-based services and tend to be more expensive than widely available broadband access links. The Internet provides global access to cloud applications but can be limited by poor reliability, unpredictable performance and weak security. This is a problem when it comes to staying in contact with customers or providing customers with Internet connections at your restaurant or hotel. The benefit of SD-WAN is that it provides a controlled environment in which you can augment or replace your existing WAN, while lowering costs and leveraging cheaper broadband access links. 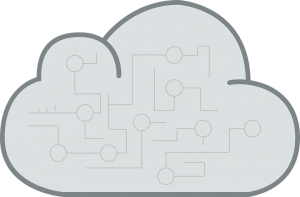 Since the SD-WAN infrastructure requires a unique build to create, it’s exceptionally scalable and allows bandwidth capacity to the cloud when needed. If you’re worried about the cost and time investment of your internal IT department building an SD-WAN network, you can always outsource the labor. That all depends on your business. The boost to cloud-access could help reduce load times for your sales teams or customer service representatives who rely on Internet connectivity for Salesforce.com or social media to enhance customer support. If you work in retail or the food industry, the high-speed Internet access might help customers feel comfortable while they peruse your store or wait for their meal. In the event customers amass and begin eating up business-critical bandwidth, SD-WAN helps you prioritize application and traffic flows to reduce the number of on-premise devices, as well as more dynamically manage the services deployed at a given location. So, you can prioritize your important bandwidth needs without risking a loss of business or unwanted downtime due to lagging Internet speeds. Another major benefit includes avoiding service provider lock-in by deploying the components internally or working with multiple service providers. By leveraging multiple providers, you can install an automated switch over that will allocate your bandwidth to the higher-performing connection. This way, you never have to worry about service outages, keeping your business running and your customers happy. Do you want to manage your SD-WAN in-house or have it delivered as a service? First and foremost, you need a thorough understanding of your WAN. One pitfall businesses face is thinking of SD-WAN as a complete solution. It may enable choice in access, but it doesn’t give remote users full cloud-connectivity, that involves a full orchestration of the cloud, WAN and SD-WAN. If your network is a critical aspect of your business, you’ll probably need more customization when setting up your SD-WAN, which a third-party vendor can help you with. However, if the high-speed Internet is just “nice to have” or supplemental to your customers, an off-the-shelf solution might suit your needs. When you hire a third-party telecommunications service, someone else owns and manages the solution for you, saving your operations and IT staff valuable time from training and support. It also introduces you to a consultant who may be able to offer other advantageous resources such as NFV-based firewalls or cloud connectivity, giving you a more robust catalog of managed services to help you develop internally. Building it out yourself, on the other hand, offers the ultimate in customization. You can develop the services that work for your business and can be infinitely flexible. The choice is yours. For a real-life example of how SD-WAN can benefit your business, read our case study exploring how the network helps a multiple-location restaurant in Chicago.